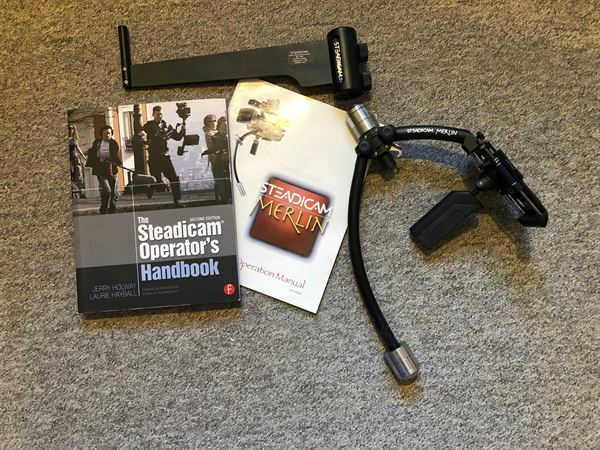 Steadicam Merlin complete with weights, docking bracket, manual and the definitive guide to steadicam, "The Steadicam Operators Handbook". Located in Wiltshire so happy for collection or post at cost. Call / text me on 07990-973727 or e-mail grahamrisdon@mediainventions.com.